Colors can often impact how you’re feeling. When they’re muted or soft, it can leave you feeling calm or relaxed. When they’re bright and lively, it can lift your spirits. Depending on your goal, colors can help dictate how your customers will feel when they enter your space or encounter your brand. 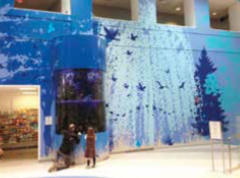 Nationwide Children’s Hospital wanted the colors in their environment to reflect who they serve: children. Their vision was to have an atmosphere that was inviting and unlike the traditional hospital setting. Incorporating vibrant, bright colors could transform the space into a home away from home for patients and their family members. Before the painting and installations, the walls were uniform. There wasn’t much differentiation in the atmosphere from wing to wing and it the graphics and colors didn’t take advantage of the vast space available. Our plan was to design hundreds of custom graphics to display throughout the highly populated areas of the hospital. 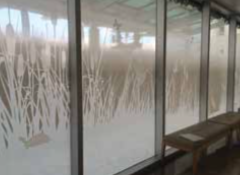 These specialized graphics were created and installed quickly throughout the installation process. We paid close attention to detail to ensure graphics and figures were as special as the patients who would see them. The end result was warm, inviting colors projecting off of the walls and illuminating the space, creating a whimsical and welcoming environment for all who enter. The installations could transport kids to another world—if only for a moment, and help them feel like a kid again. Interested in seeing how Nutis can color your world? Contact us at http://nutis.com. It’s the age-old debate that has divided households and come between friendships for decades: when is the appropriate time to start listening to Christmas music? Is November too early? Should you wait until after Thanksgiving? At Nutis, the Jingle Bells start much earlier, like mid-summer earlier. Talk about Christmas in July! Producing large-scale, elaborate holiday displays can take several months to perfect and execute. There are many steps to the production process, which is why we start so early. Clients generally reach out to us with their vision for their holiday display. Our best advice to clients? Provide us with as many details as possible! This way we know we’re capturing what they’re envisioning. In this stage, we grasp what the client is looking for and how we can physically make it a reality. 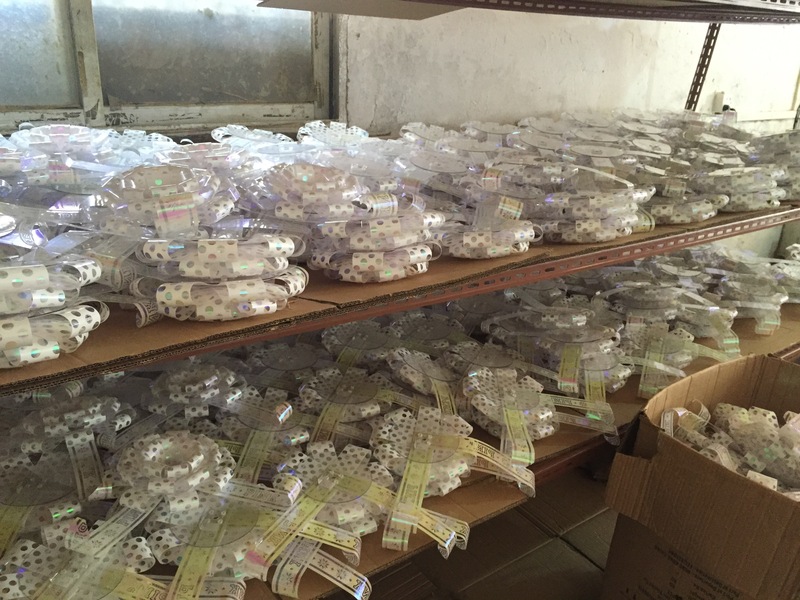 Once we know what the final product is going to be, we provide prototypes of the design. This is where we also play around with which materials and substrates we’ll use in the displays. If a client is local, we meet with them in person so they can physically experience the samples of each material. When a client isn’t local, we ship them samples and discuss the options over the phone so they can still experience the materials before they make a decision. An important part of our process is how we provide clients with a tangible example of what we’re creating. 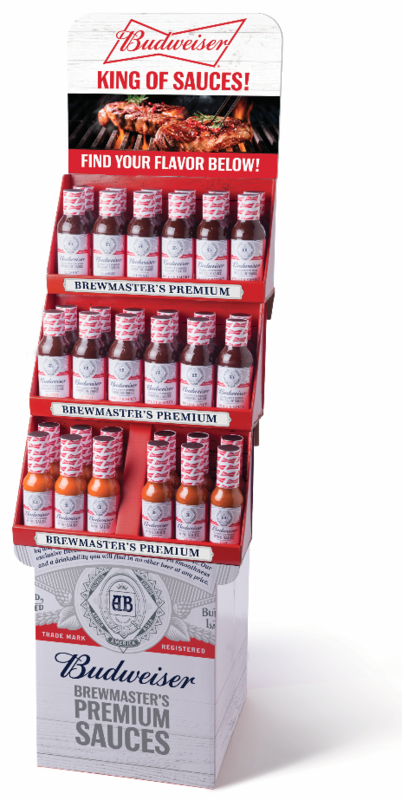 We utilize digital proofs and physical prototypes to make the reality of their display come to life on a smaller scale before we enter into the mass production stage. With this many steps in the approval process, there can be a lot of back-and-forth, which is why we encourage so much lead-time. We really want to capture our client’s vision before the holiday season hits. If you feel like you’re behind the curve in reaching out for help with your holiday display, don’t fret. 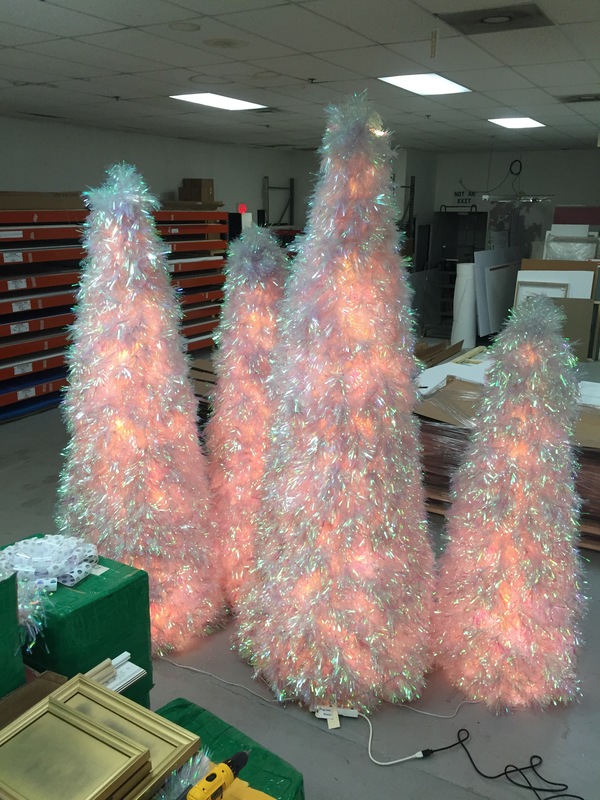 Just the other day, we had a client who needed Christmas trees produced for five different locations. In a matter of a few hours, we engineered a solution to meet their needs. 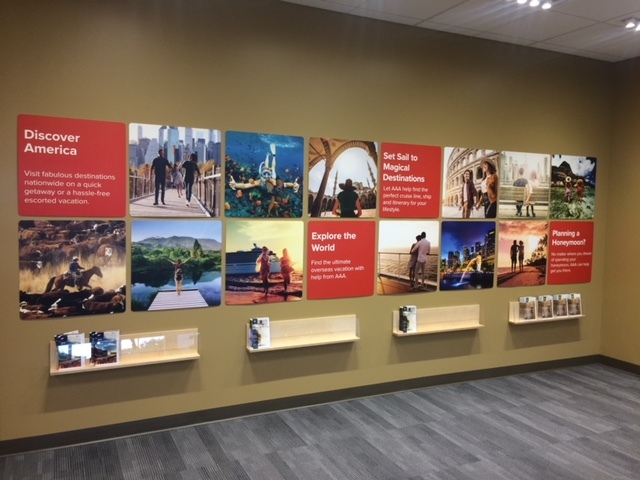 In addition to creating these displays with a variety of techniques–3-D printing, foam sculpting, molding, laser cutting, and printing–we have the ability to fully install the entire project. You might call it a Christmas miracle; we just call it our day job. Whether you’re trying to get people inside your store, promote a sale, or advertise a new product, you need to capture your audience’s attention. You may think that your product is good enough to do all the talking. But with a seemingly unlimited number of brands vying for limited amount of attention, you’ll need to do more than let the product speak for itself. 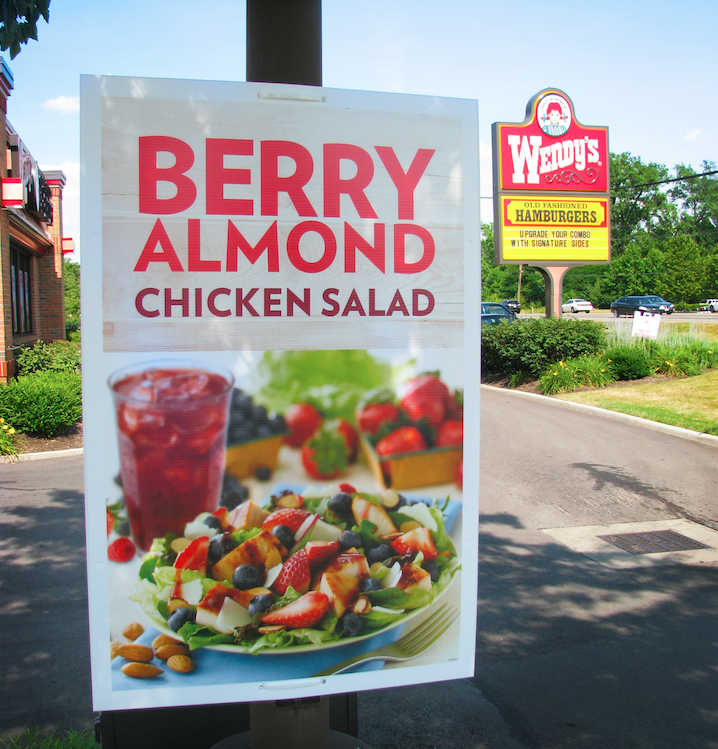 A good sign is a great way to help you cut through the clutter and differentiate your product from the competition. While you don’t want to distract your audience from the message, a bold color or unique texture can help your sign stand out. Materials like wood, metal, and acrylic make great textures for signs. Just be sure you don’t overdo it with a haphazard mix of colors and textures. Your sign doesn’t have to be a square. Make your sign less boring and more interesting by thinking outside the box. Bonus points if it’s 3D. And adding lighting is a surefire way to ensure no one will miss your sign. The location and size of your sign is crucial to people seeing it and paying attention to it. If it’s too low or too high, people may not see it. If it’s too small, people may not notice, and if it’s too big, people may be annoyed. Do you need help creating a sign that checks all the boxes? Nutis is your partner in creating signage where the medium is as strong as the message. With nearly 70 years of experience, Nutis provides full-service print, point-of-purchase, and visual merchandising solutions. Click here to learn more or contact us. Is Your Storefront Working for You or Against You? You only get one chance to make a first impression, and for retail stores, that chance comes and goes before the customer even walks through the door. First impressions are won or lost with storefront design. If you want to get customers through the door, and do so happily, your storefront needs to make an unforgettable impression. But capturing the attention of customers is only part of what a good storefront does. It also communicates your unique brand and lets customers know what you’re about and what they should expect. Here are four things to think about when designing a storefront that gets the job done. You can’t make a good first impression if you never make an impression to begin with. 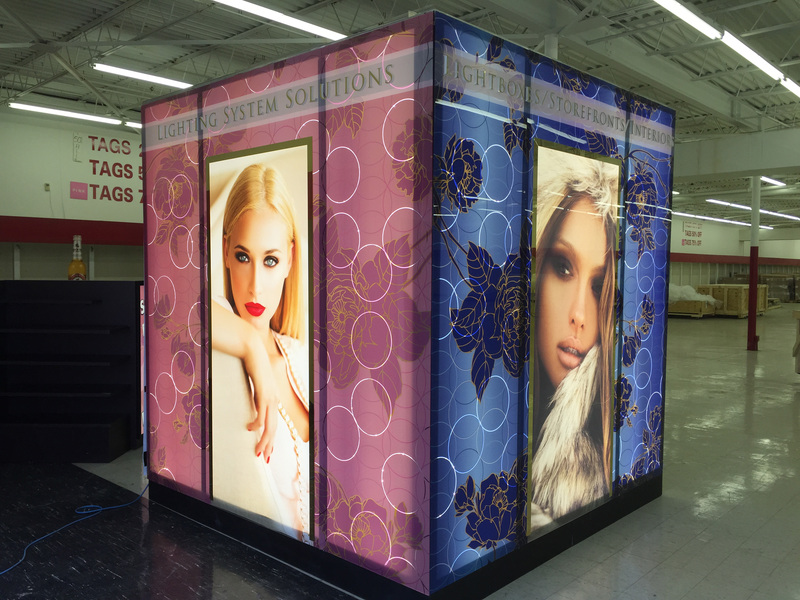 From innovative display technologies to custom lighting solutions, there are countless strategies to get your store noticed by passersby. But with countless options comes countless ways to go wrong, which brings us to our next tip. HALF OFF!!! LAST CHANCE!!! HURRY IN!!! You should definitely showcase your products in your window displays. But don’t play your ace just yet. Use your storefront to pique interest, but save your “wow” pieces for inside. You’ve intrigued your customer, and now you have to pay it off when they walk in. If you do so, you’ll form an immediate connection. Your storefront never clocks out or goes on vacation. It’s always there, reinforcing your brand—or weakening it. Be sure that it’s consistent with all of your other branding efforts. Customers have very likely already checked out your online presence, so your storefront should feel familiar. If it looks nothing like your online image, it will create a disconnect that dilutes your brand recognition. Nutis provides full-service solutions that help businesses elevate their visual impact and customer engagement. Our storefront designers are highly experienced in crafting creative solutions that can be customized to fit any need and any space. Click here to learn more. Have you ever walked through your local mall and wondered how each store has beautiful displays inside and outside? That’s the work of high-quality plastic printing, which Nutis Visual Communications Group has perfected over the past half-century. And it’s not only in the United States, but all over the world and in different languages as well. Flexibility in plastic printing is what really sets the Nutis Visual Communications Group apart from competitors in the visual communications industry. The plastic printing capabilities at Nutis covers three different areas — screen printing, UV lithography and digital printing. “With our capabilities with screen, UV litho and digital, there are very few plastics that we can’t print on, finish and die cut,” said Ira Nutis, the Owner/CEO at Nutis. Nutis Visual Communications Group can screen print any plastic from 10 to 60 point styrene, UV litho print 10 to 30 point styrene and digitally print from 10 to 60 point styrene. 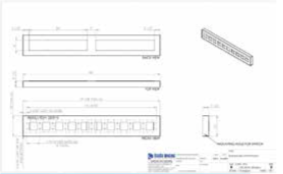 The different styrene points means that the Nutis Visual Communications Group can make extremely large plastic displays and scale for the client’s needs. When a brand turns to Nutis, they have all of their printing capabilities under one roof, which means not having to worry about dealing with multiple vendors. Not only does each plastic printing method allows Nutis Visual Communications Group to offer the most cost effective product, but also it allows them to scale the process to meet the quantitative needs of any customer. 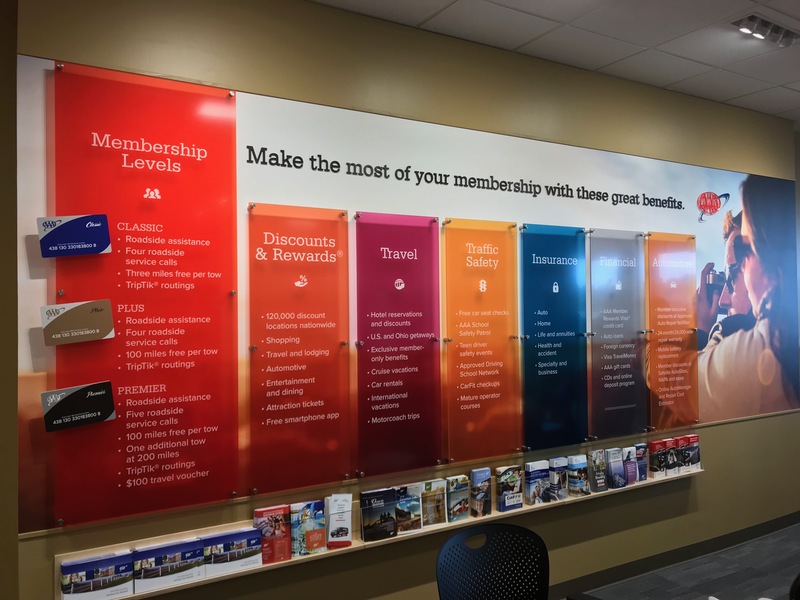 The printing capabilities of Nutis Visual Communications is second-to-none in the industry, and you can find Nutis’ work all across the United States and the entire world. Some people in the industry are focused on the dollars and cents that goes into plastic printing, but for Ira, it’s about helping the customers promote their brands and products in the most efficient and visually pleasing way possible. If your company is looking to print point of purchase displays or signage, visit our contact page!